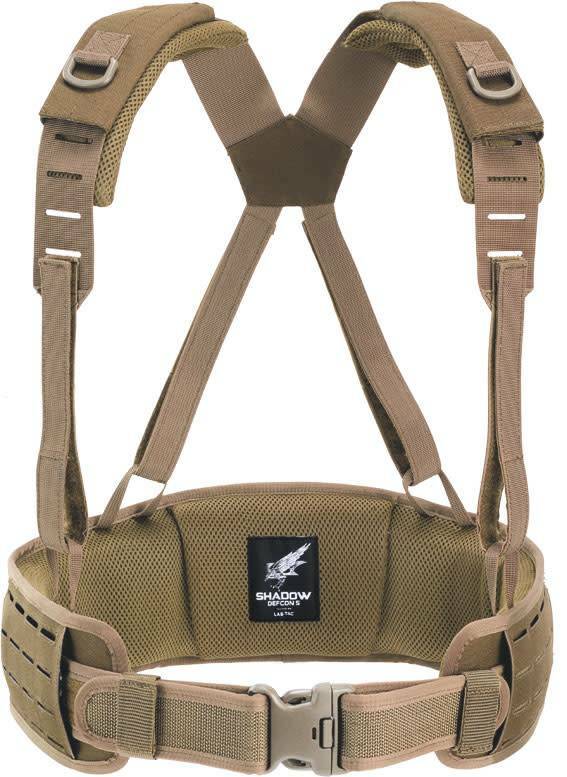 This new belt was created at the same time as the plates carrier SHADOW GEN4, and they are complementary. The ergonomic shape of belt offers an optimal comfort even in the case of important loads, especially at lumbar level. The laser cut allowed to reduce the amount of the material needed, maintaining its specific modularity for MOLLE systems. Its strength has been increased thanks the unique lining in PVC thermo welded. It was given particular attention to the creation of the lifter, made more comfortable thanks to their padding which allows the operator to be able to do all the movements, even in the case of the additional plates jacket. 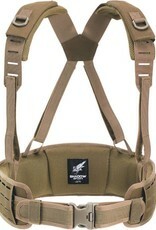 At the shoulders level there is a padding reinforcement, equipped with a ring D-ring. The reinforcements are easily removable, thanks to the Velcro system, and it is possible to fix it to the plates carrier. The inner belt is adjustable with the rigid removable insert. There are two open sides at the belt level on which it is possible to set different types of holsters. The closure of the belt is fitted with safe. There were applied two belt loops, even for the anchorage of carabiners, helmets, gloves etc.